I spent a few hours this week backing up my photos for the last three years. It wasn’t that tedious of a process but I did manage to completely muck it up and end up with a jumbled mess for 2013. Let’s say I’m a filer, not a piler, and all of the beautiful folders I created to organize my photos disappeared. At least they’re all saved though. God forbid I lose a photo of a mushroom or half-cooked chicken part. During the exercise, I realized that I had taken a lot of photos this year of meals and snacks that I never ended up putting on the blog. I suppose it’s not cooking content that I’ve been lacking this year, it’s the sassy commentary you long for that has been in short supply. That and time to sit down and type it all out. I’m not much for resolving things – we’ve been through this before – but I miss blogging so I’m going to try to get back in the habit of coming at you more regularly with some of the business. Like this business. Lemon blossoms. You google that and the first thing you’ll see is a recipe by the same name by Paula Deen. These are them. They. Those. These are these. Since I’m straight ripping off the new queen of the (ahem, shall we say even dirtier) South, I thought I should let you go straight to the source to lessen the likelihood I get served for copyright infringement. I assume that will happen at some point as I plagiarise a recipe AND use Sandra Lee’s half-assed philosophical food moniker in the title of this post. 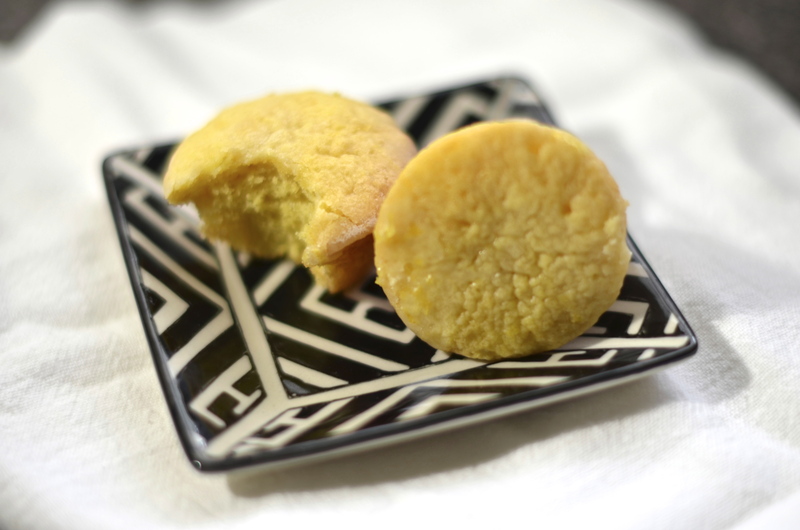 These are fun little dense two-bite lemony treats that are pretty easy to make despite the mess of having to glaze them at the end. 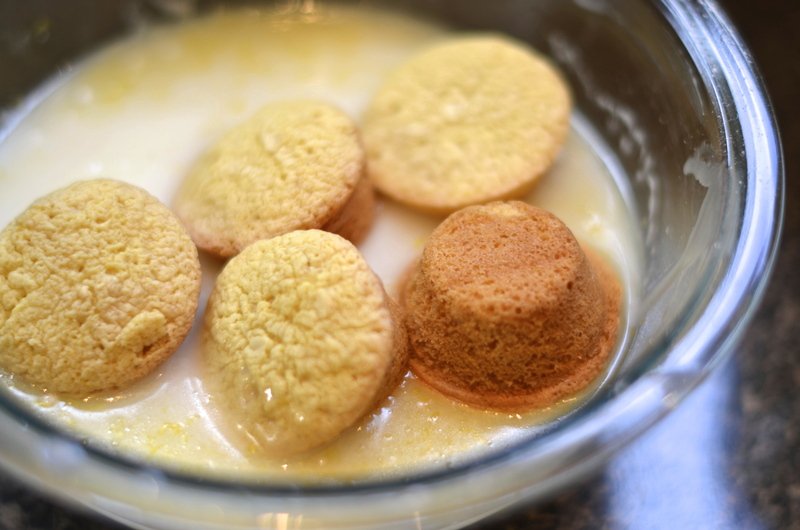 I love citrussy desserts and this one fits nicely in the recipe file somewhere between cupcakes and lemon bars. I also am a big fan of bite-sized things, small plates, tiny spoons and generally anything diminutive. I’m part Irish, part Lilliputian. If you haven’t just gone over to foodnetwork.com to use their recipe (there’s a video too! ), let me enlighten you. To get started, preheat your oven to 350 American degrees. 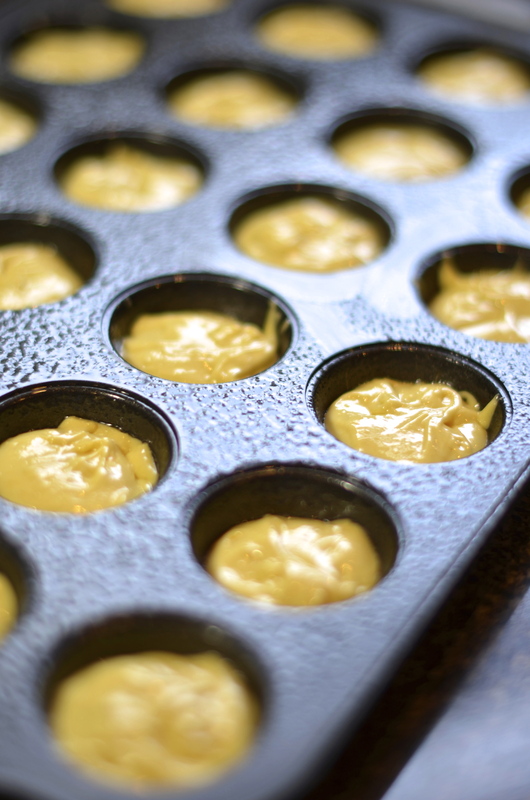 This recipe calls for a mini muffin tin. If you need to run out to buy one, go ahead. We’ll wait. I’ll try to come up with another recipe you’ll use it for (other than mini muffins, obviously). Welcome back. Prep your brand new mini muffin tin by spraying it with Pam or her generic counterpart. 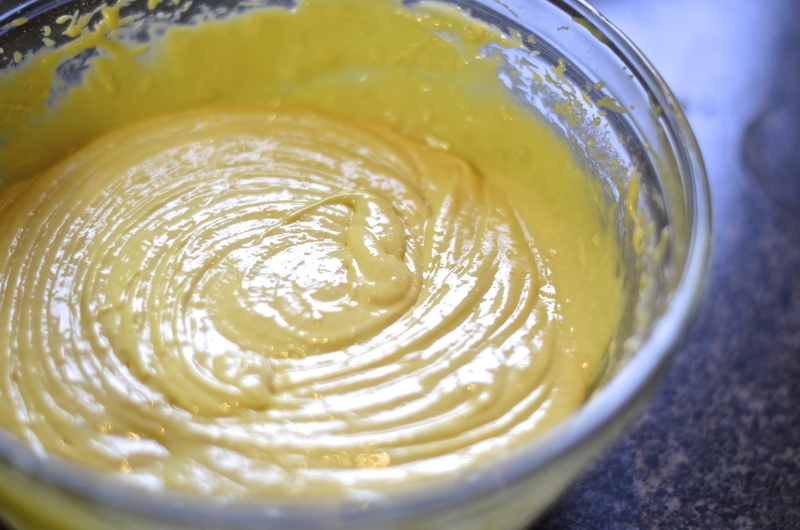 In a large bowl, combine all the cake ingredients and beat with a mixer until smooth. 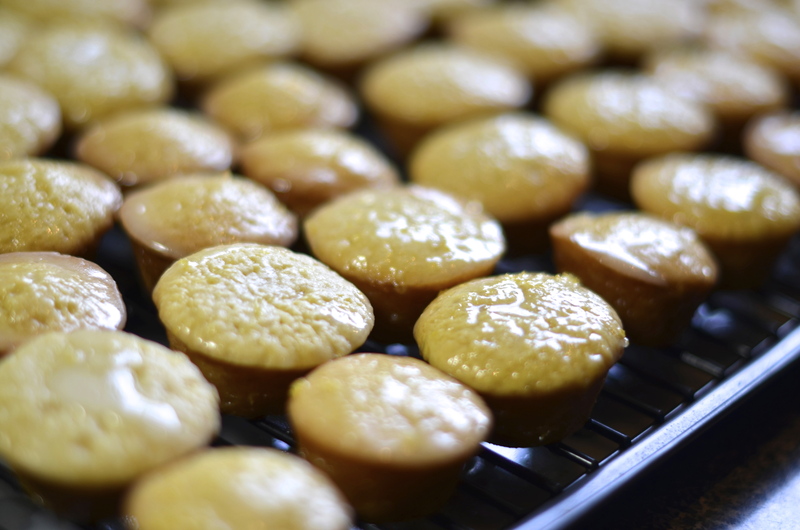 Fill your mini muffin makers about halfway. And bake for about 12 minutes. 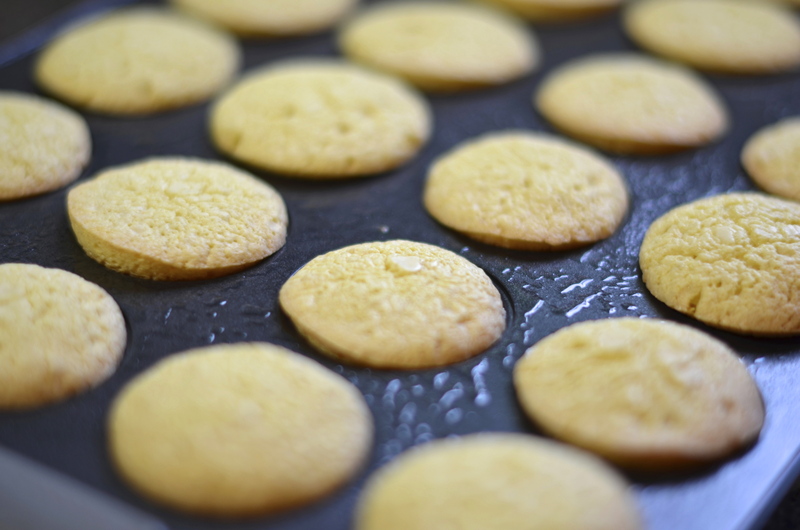 Let them cool for a few before turning them out onto your counter. While they’re cooling, let’s glaze. 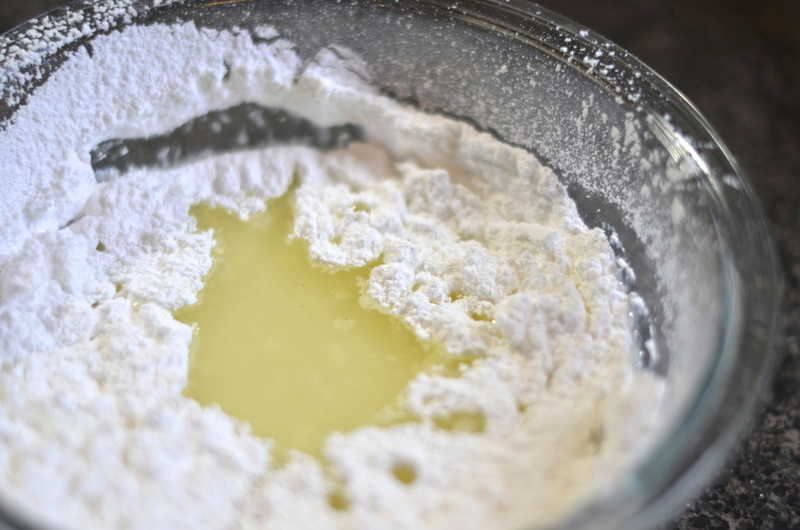 Sift the confectioners’ sugar into a medium-sized bowl and add the remaining glaze ingredients. I may fiddle with the lemon juice/water ratios to end up with a bit more lemon than water. Do what feels right. 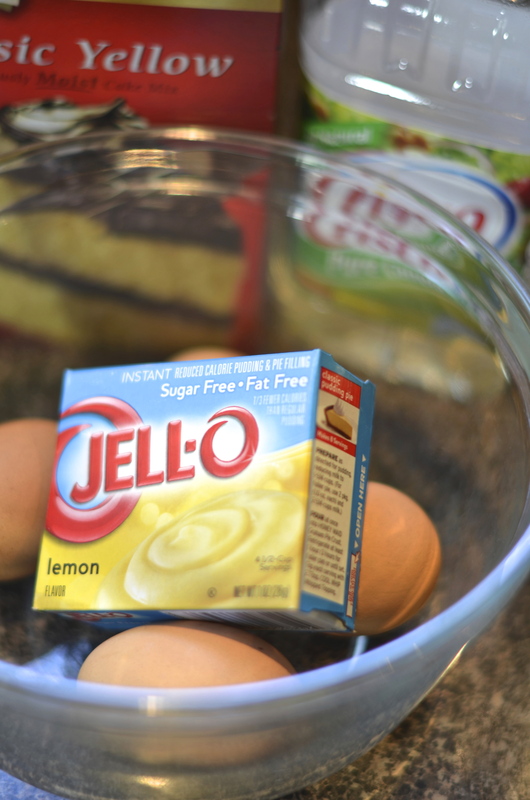 Stir to combine and then get your glazing station ready. For me it’s a large rack placed over a baking sheet to catch the drippings. In whatever fashion you see fit, glaze the cakes. You can do this while they’re still slightly warm. I find it helps soak up some of the liquid. I dump a couple straight in the glaze so they’re completely covered and then pull them out. I think they’re best when you glaze the biggest surface area. Use your judgement. And you’re done. Eat them. I would like to eat some of these now but I think our mini muffin tin is in storage. We needed to make room for baby bottles. Not cool. I remember you making these – maybe more than once. I also remember loving them. Hope all is well with you and yours!